Much has been written about racism in Cuba, and it was one of the earliest subjects addressed by the Washington Post's Eugene Robinson upon his arrival to the DMV a few years ago from his various Latin American postings. Academics say that black Cubans are failing to earn university degrees in proportion to their numbers--a situation to which Castro has alluded publicly. The upper echelons of the government remain disproportionately white, despite the emergence of several rising black stars. And while perceptions are difficult to quantify, much less prove true or false, many black Cubans are convinced that they are much less likely than whites to land good jobs--and much more likely to be hassled by police on the street, like Cano's husband, in a Cuban version of "racial profiling." But how about some Cubans inside Cuba discussing the subject? In primary [Cuban] education, skin color is not mentioned," ... If we are still living in a society where white people have the power, and we don't mention color in education, we are in practice educating [Cuban] children to be white. Cuban history as we teach it is a disgrace, because it is predominantly white history, and explaining the role of black people and mulattoes in building this society and its culture is not given its due importance. ...to carry on "hiding" the issue [of racism in Cuba] would lead black people to think that "they belong to another country, and that there are two Cuba’s as there were in the 19th century, a black Cuba and a white one." And thus, it is curious to me that in re-establishing diplomatic ties, our socially conscious President (and his cadre of advisors) appear to know little or nothing about the way that Afro-Cuban citizens are treated in their own country. One would hope that our President's dealings with a nation with one of the world's worst human rights records, where Amnesty International has been denied access to (except to that bit of Cuba where the Guantanamo Naval Base is located); a nation where gay people were once given lobotomies to "cure" them; and where HIV+ Cubans were detained and segregated in guarded colonies away from the general public, could at least receive a little attention on the status of blacks in their nation. Fact: Twice as many African slaves were brought to Cuba than to the United States... twice! And what really bugs me, in my own pedantic hell, is how a bunch of historically and socially clueless American negotiators orchestrate deals with the leaders and the government of one of the world's most racist dictatorships (a government which talks a talk of equality while walking a walk of institutionalized racism against its own black population) without even mentioning the issue of racism. Cuba has a long and agonizing history of racial issues, starting with its long bloody history of slavery, which didn't end on the island until 1886, and continuing through its freedom from Spain, birth of the Republic, and the triumph of the Castro Revolution in 1959. It continues to this day. Cuba even had its own race war. General Antonio Maceo, known as "the Bronze Titan." He was the true warrior leader of the Cuban Wars of Liberation. His father was white of French ancestry; his mother was black, of Dominican ancestry. 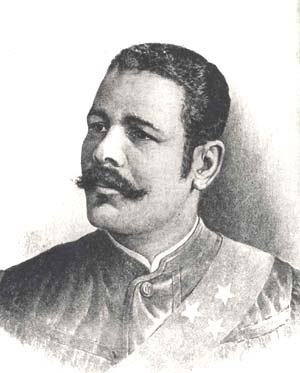 After the first Cuban Liberation War ended in a truce with Spain, some say that Maceo was so disillusioned with the realities of life in Cuba as a black man, that he left Cuba and lived in Panama, until he was called back to lead the Cuban rebels in a new rebellion in 1895. He returned to Cuba and was killed in battle against the Spanish Army in 1896. In 1912, black Cubans in Oriente province had enough of the new Cuban government's racist practices and the degrading treatment of Cuban black veterans, who had been the bulk of the Cuban rebels in the wars of independence against Spain. The Cuban government moved on a path of genocide and eventually the United States had to send in troops to end the war between the white Cuban government and the black rebels in Oriente. As I recall from the CIA Factbook of 1959, on that year the island was about 70% white, about 20% black and mixed, and the rest Chinese, Jewish and other. The Cuban Diaspora which started a few months after the Castro takeover and continues to this day, with the exception of the Mariel boat lift of the 1980s, saw a mass exodus of mostly white Cubans, and as a result the island's racial balance shifted dramatically that although 65% of Cubans self-identified as white in the last census, many experts estimate that today the island is about 60% black or biracial. But Cuba's black population has not seen a proportionate share of the power and a quick review of the governing Politburo/Parliament reveals few black faces in the crowd. In fact, "the Cuban cultural journal Temas published studies by the governmental Anthropology Centre in 2006 that showed that on average, the black population has worse housing, receives less money in remittances from abroad and has less access to jobs in emerging economic sectors like tourism, in which blacks represent barely five percent of managers and professionals, than the white population." "I think silence is worse. The longer nothing is said, the more the racism fermenting underground is rotting the entire nation..."
While the Cuban constitution of the 1940s (since then abolished by the Communist government) outlawed segregation and racism, and the current Cuban Constitution guarantees black Cubans the right to stay in any hotel and be served at any public establishment, as it has been documented by many foreign journalists, black Cubans will tell you in private that those rights exist only on paper. The harsh Cuban reality today, they claim, is that "black Cubans won't be served" and that Cubans, regardless of race are in general barred from places frequented by tourists. Unfortunately, these things [disparities in the treatment of blacks and whites] are very common in Cuba. Do these Cuban voices from within Cuba itself sound like the subjects of a government whose murdering tyrants' atrocities should be dealt in silence?, especially in view of our nation's own racial history? Would we be silent in dealing today with the criminal government leaders of the apartheid South Africa of the 20th century? We have practically apartheid in this country sometimes... racism is deeply rooted in Cuba's history and will not disappear overnight. Cuban Communist Party-owned Juventud Rebelde newspaper. Human rights and racism should be at the top of the agenda (if there's one) in our diplomatic discussions with the Havana tyrants. What will this "change" bring to the "permanent and shameful police harassment of young Cubans of African descent in our streets..." - Leonardo Calvo Cardenas, Cuban National Vice-Coordinador of the Citizens' Committee for Racial Integration (Comité Ciudadanos por la Integración Racial (CIR))?